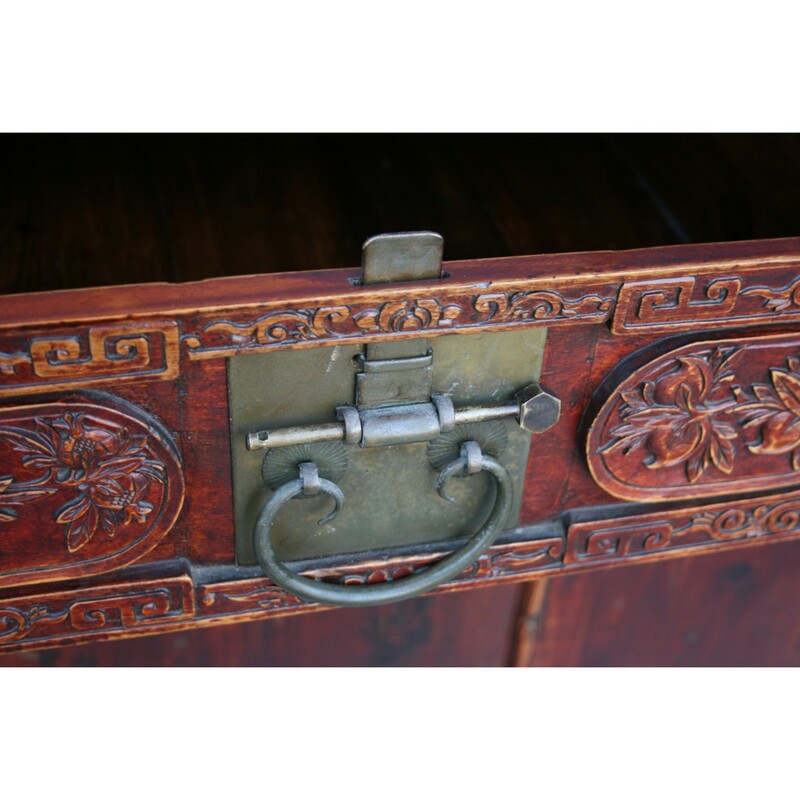 Antique Chinese Walnut armoire from late-18th century with original brass hardware. The Chinese antique wooden armoire was discovered in ancient ruins in the Chinese countryside and restored completely by a local carpenter. 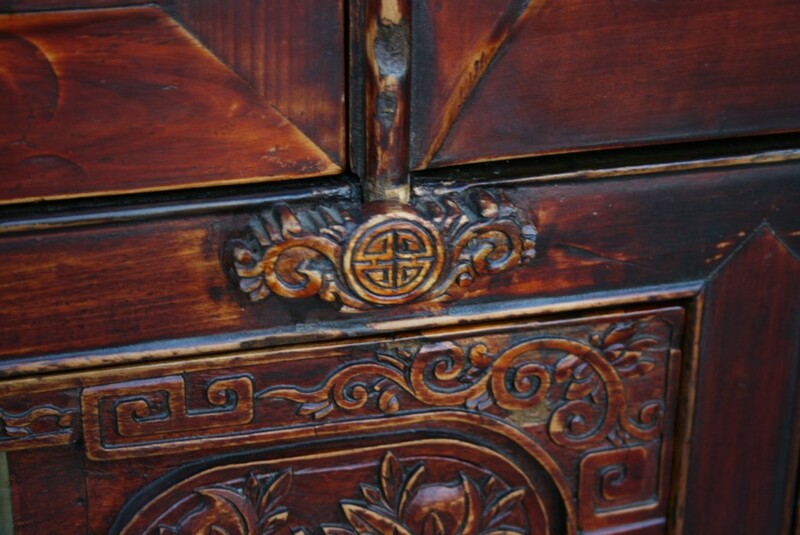 There is a great deal of detail and historical information illustrated and carved into the antique Chinese fir wood armoire. 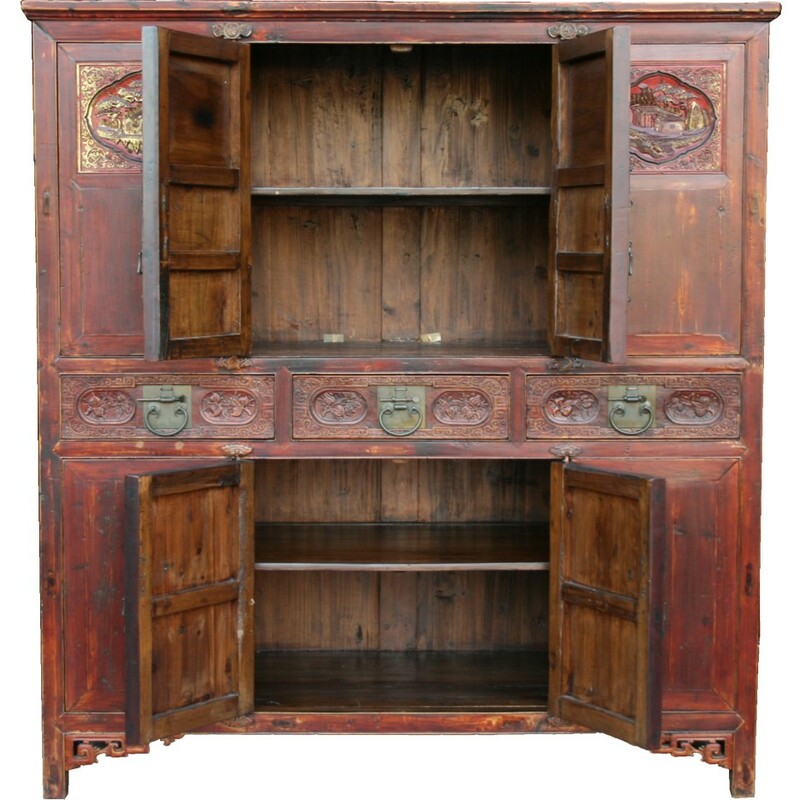 The 164 cm Chinese antique armoire is vast in size and can serve many purposes in a home living space or office work space. 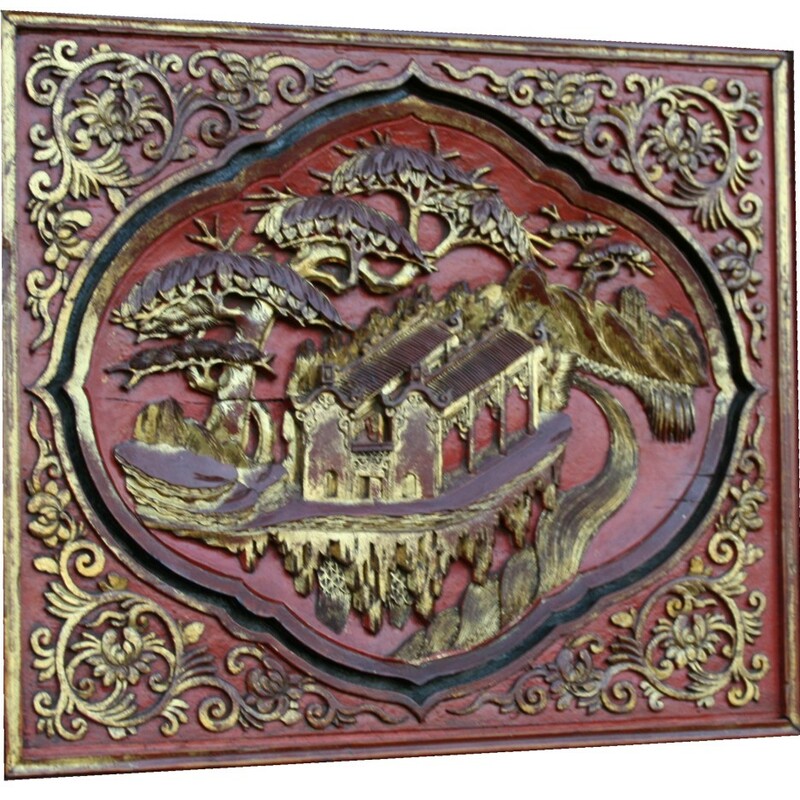 Artistically, the structure has been hand crafted and hand carved to represent detailed craftsmanship and traditional artistry. The artist created this piece in Zhejiang in southern China. 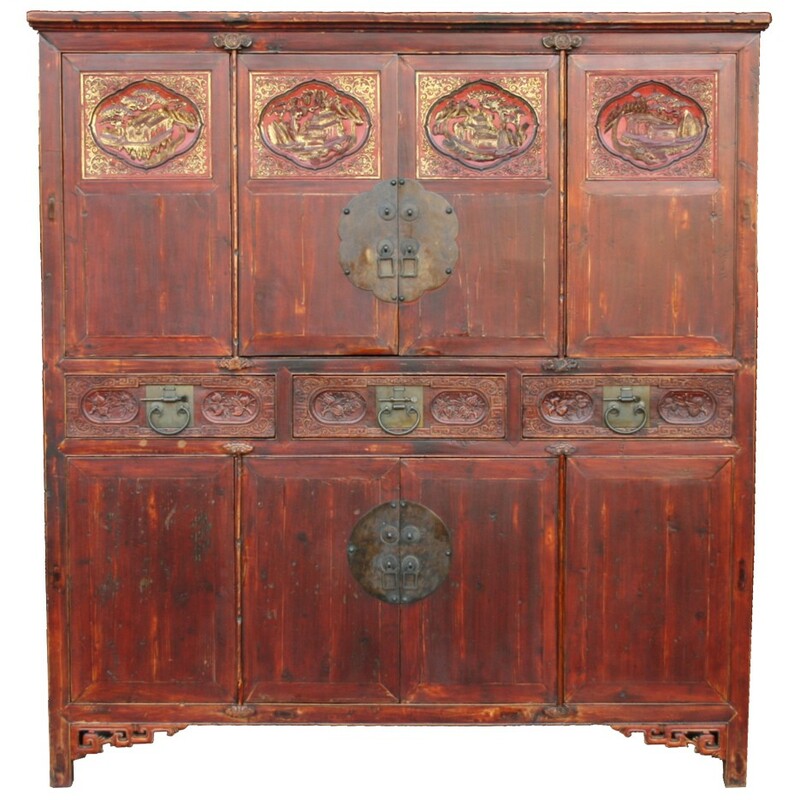 Across the top of this Chinese Walnut wood armoire, there are 2 doors 4 panels with fascinating scenery designs with pencil carved and bevelled mouldings. Each panel is illustrated with a different hand carved natural scenes of scenery and flowers, that really makes the armoire distinct and stand out. 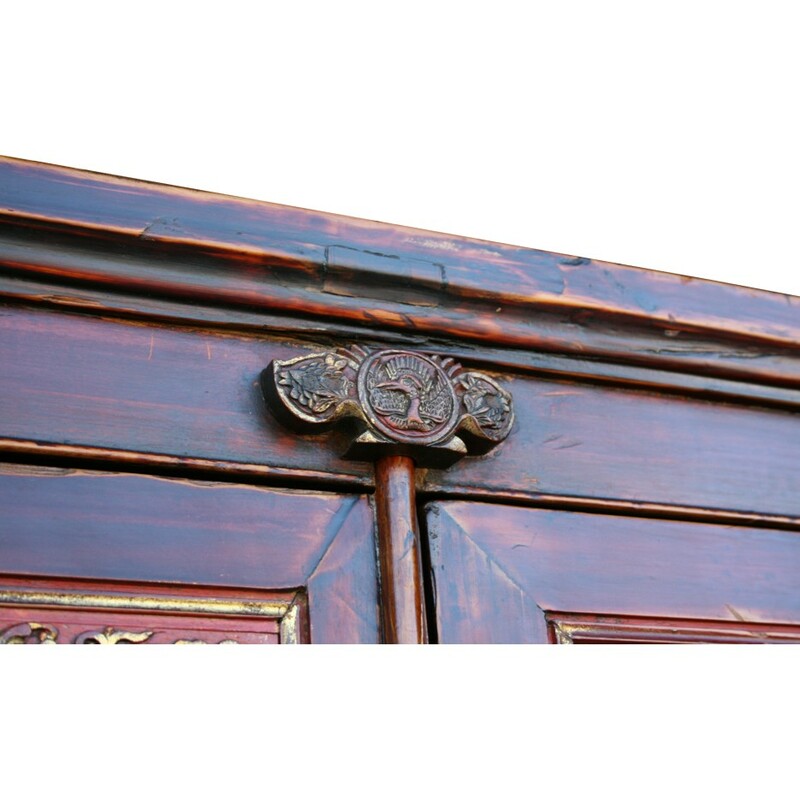 Each door panel is hand painted in brown with remarkable colours of gold. The doors come with a lock pin or internal wooden lock to secure doors. 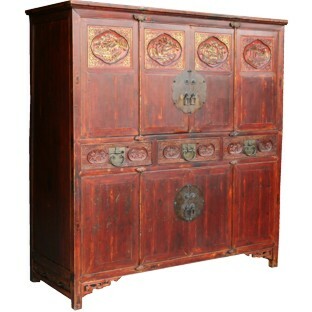 Chinese armoire has three drawers in the middle with lock handles each. 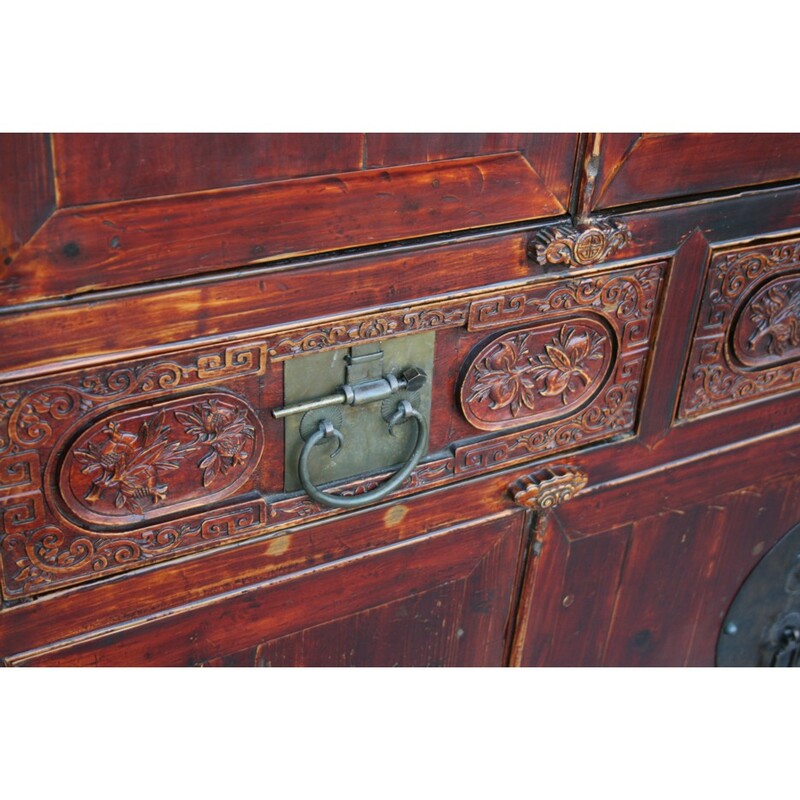 These are flower vase brass handles and also pomegranate and pumpkin door hinges preserve Chinese tradition and artistry. 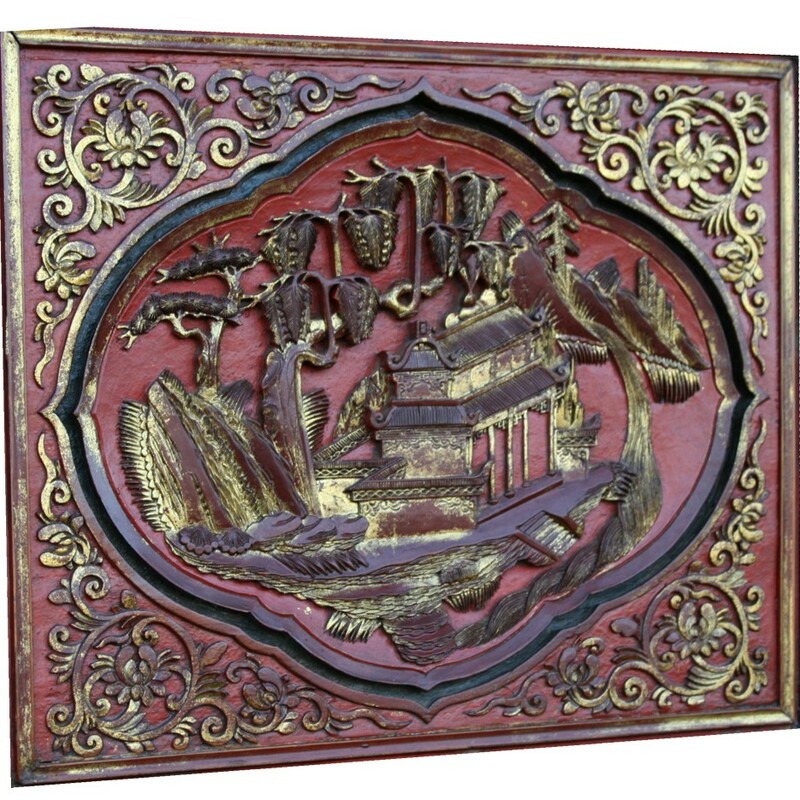 There is endless detail and artistic creativity exhibited, there are even carved panels along the sides. 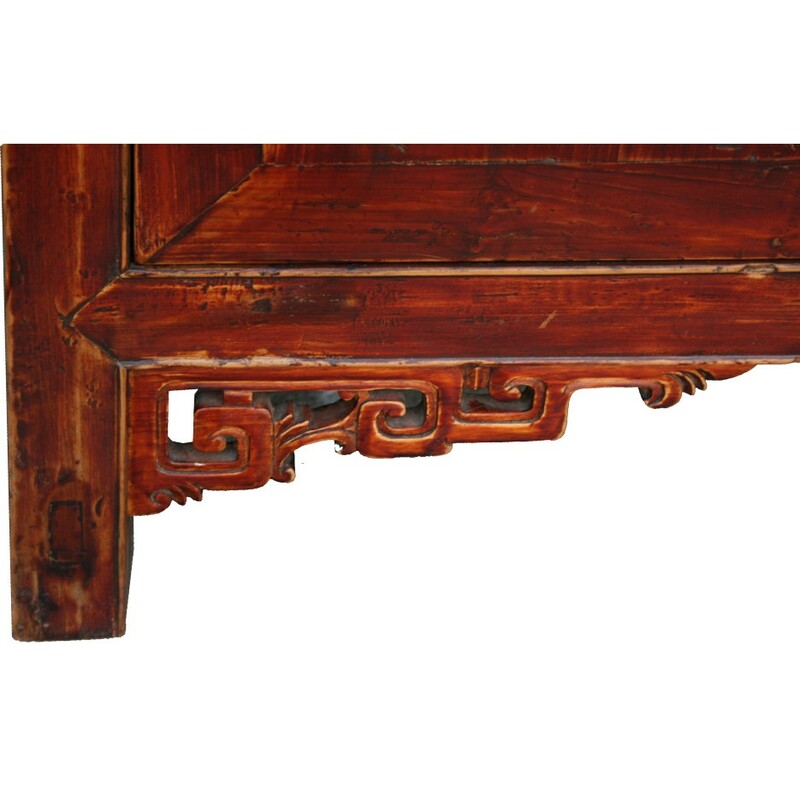 This is an essential piece of furniture for any Asian collector or designer. Use in a bedroom for clothing or in the living room as a entertainment centre.